No one in business can get away without selling. Yet, according to author and entrepreneur Dan Englander, most people fall far short of their potential in this area by constantly fixating on their next big win. Instead, Dan teaches us how to draw the bulk of our sales energy from our existing and long-term relationships and have a lot more fun in the process. Why most sales stereotypes couldn’t be more wrong. 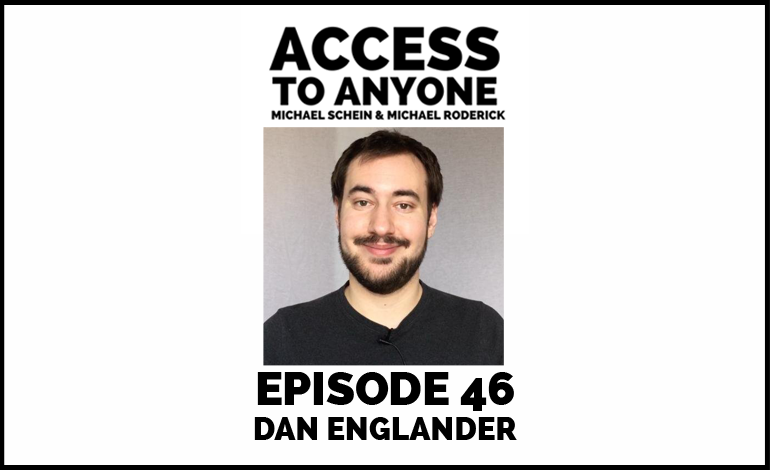 Dan Englander is a New York-based entrepreneur and consultant. He’s the Founder of Sales Schema where he helps salespeople, business owners, and account managers improve their results. He’s also the author of Mastering Account Management and The B2B Sales Blueprint. As the first employee and Senior Account Manager of IdeaRocket, Dan helped launch the premier studio for high-quality animated explainer videos. He brought in business and managed productions for dozens of Fortune 500s and startups like Venmo. He’s a decent living room guitarist and he makes a mean paella.